From the Roman Emperor Julian, who waxed rhapsodic about Parisian wine and figs, to Henry Miller, who relished its seductive bohemia, Paris has been a perennial source of fascination for 2,000 years. 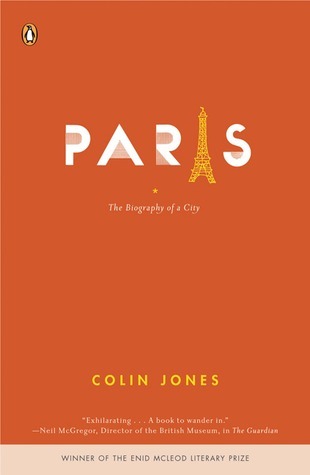 In this definitive and illuminating history, Colin Jones walks us through the city that was a plague-infested charnel house during the Middle Ages, the bloody epicenter of the From the Roman Emperor Julian, who waxed rhapsodic about Parisian wine and figs, to Henry Miller, who relished its seductive bohemia, Paris has been a perennial source of fascination for 2,000 years. In this definitive and illuminating history, Colin Jones walks us through the city that was a plague-infested charnel house during the Middle Ages, the bloody epicenter of the French Revolution, the muse of nineteenth-century Impressionist painters, and much more. Jones’s masterful narrative is enhanced by numerous photographs and feature boxes—on the Bastille or Josephine Baker, for instance—that complete a colorful and comprehensive portrait of a place that has endured Vikings, Black Death, and the Nazis to emerge as the heart of a resurgent Europe. This is a thrilling companion for history buffs and backpack, or armchair, travelers alike.